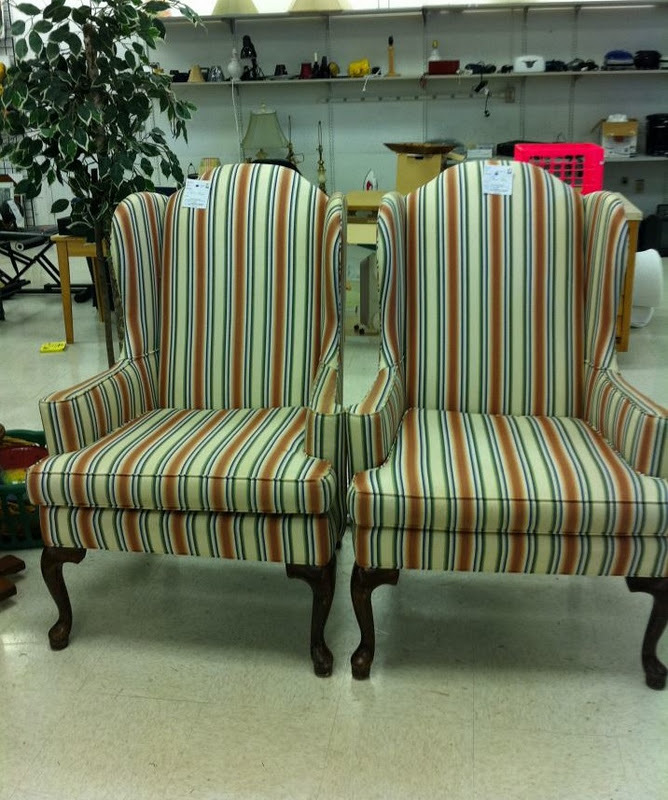 if you regularly check into the mr. goodwill hunting facebook page you already know i spotted these chairs at a thrift store for $14.99 each. yea a really good deal. these are the prices i expect from a second hand store. im sure you expect the same. on a regular basis i upload pictures of chairs and sofas on the facebook page and many of you have commented the cost of having them re-upholstered. its a catch 22. to find a good deal, but then the cost to have them redone. not trying to have a chair convention in my apartment. these are actually club chairs that unfolds into sleeper chairs. here is a link from the website if you need additional information. so if you are interested in these you can email me. they are $75 each OBO. they are also listed on craigslist. okay. so any guesses as to the new look?